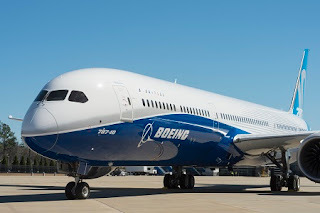 Boeing and Singapore Airlines formally announced a deal for 20 777-9s and 19 787-10s, during a ceremony at the White House yesterday. The deal, worth $13.8 billion at current list prices, but thanks to discounts, tax breaks and dodgy deals for presidential access, the true value of the order is just under $6 billion. 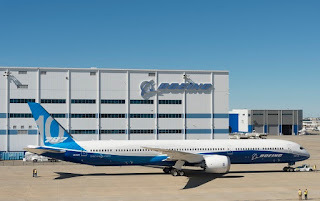 While the American manufacturer is happy to accept tax breaks, government support and allegedly fabricated military deals that only seem to exist on paper and in Boeing account, they don't like t when other manufacturers get support from governments. The on-going battle with Bombardier has raised up a notch with the American manufacturer actively lobbying US Senators on the issue. So Far this year Boeing has spent over $7 million on lobbying and 'hospitality' for senators and government officials this year alone. The signing ceremony was witnessed by US President Donald Trump and Prime Minister of Singapore Lee Hsien Loong, included CEO Goh Choon Phong Singapore Airlines' and Boeing Commercial Airplanes' President & CEO, Kevin McAllister. Peter Seah, Singapore Airlines' Chairman, and Dinesh Keskar, senior vice president, Asia Pacific & India Sales, Boeing Commercial Airplanes and other members of the airline and Boeing also were in attendance. Boeing are now strong supporters of President Trump, despite some turbulence at the start of his tenure in The White House. Boeing is even taking a lead out of Trump's playbook and conducting important communications to attack rivals over Twitter. 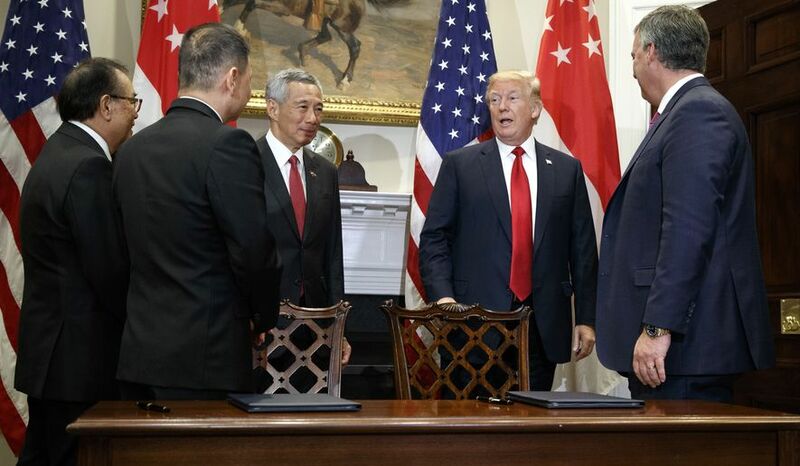 At the deal signing, Donald Trump said it would create 70,000 jobs in the US, then warned the Singapore delegation, “Otherwise we’ll cancel the order,” Although, no-one is quite sure where those 'new' jobs would be created or if that total includes jobs that already exist. "SIA has been a Boeing customer for many decades and we are pleased to have finalised this major order for widebody aircraft, which will enable us to continue operating a modern and fuel-efficient fleet," said Singapore's CEO Goh Choon Phong "These new aircraft will also provide the SIA Group with new growth opportunities, allowing us to expand our network and offer even more travel options for our customers." Singapore Airlines is one of the largest operators of the 777, with over 50 in service, the airline was also the launch customer of the 787-10, which are set to start arriving in March next year. "Boeing and Singapore Airlines have been strong partners since the airline's first operations 70 years ago and we are thrilled to finalise their purchase of 20 777Xs and 19 additional 787-10 Dreamliners," said Boeing's Kevin McAllister. 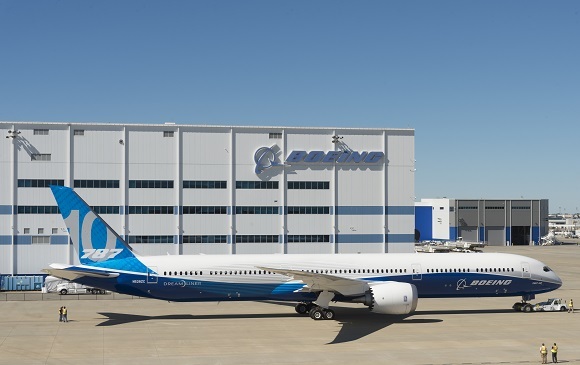 "Singapore Airlines' order is a testament to the market-leading capabilities of Boeing's widebody aeroplanes and we look forward to delivering the very first 787-10 to them next year."